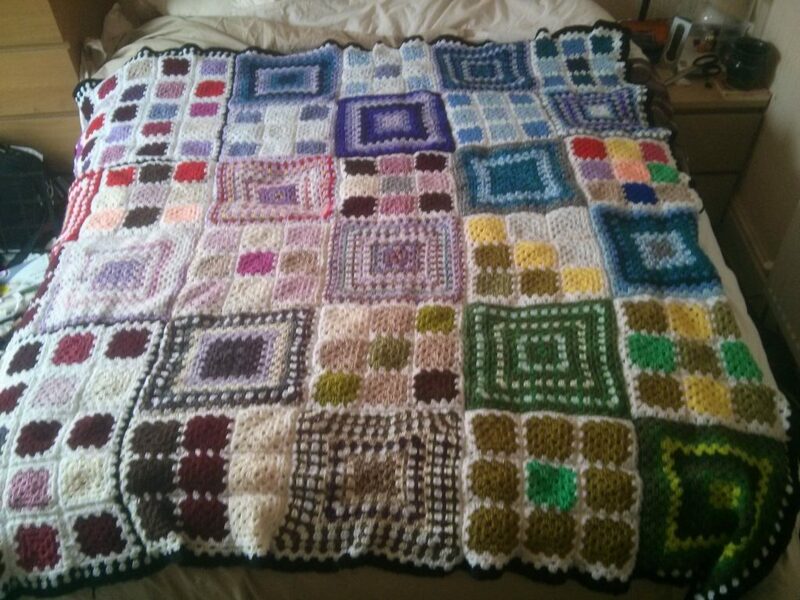 Yes its a big blanket which I finished at the weekend, when Britain hit a big heatwave. 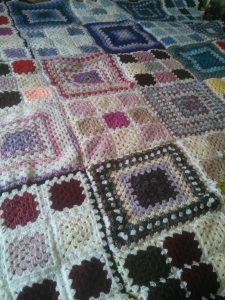 There are many tutorials and Youtube videos on how to make a granny square, so I won’t go into how to make one but the blanket consists of 176 small Granny squares sewed into blocks of nine and and 14 large ones. These were all stitched together into fours (2 blocks made of small ones and 2 larges ones). and then stitched all together. I then did one row of white and two rows of back all the way round to finish it off. It is 157cm square so fits over a double bed. 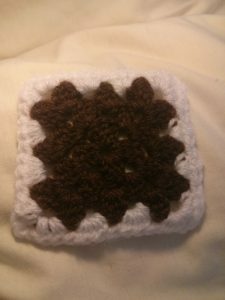 If you want to learn to crochet, want to sew something on a sewing machine or other textile crafts. 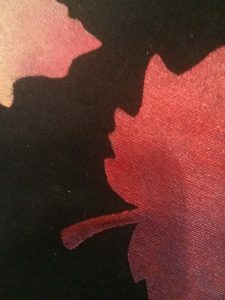 why not join us in July for our Textile Hack day on 15th July. Oh and while I have you, here is a sneak peak at another project I have on the go.